As you can probably see by my three favorites chosen, I am hungry! Today has been one of those days that no matter how much I eat, it doesn't seem to be enough....booo. My sis went to Sydney and brought back lots of treats. 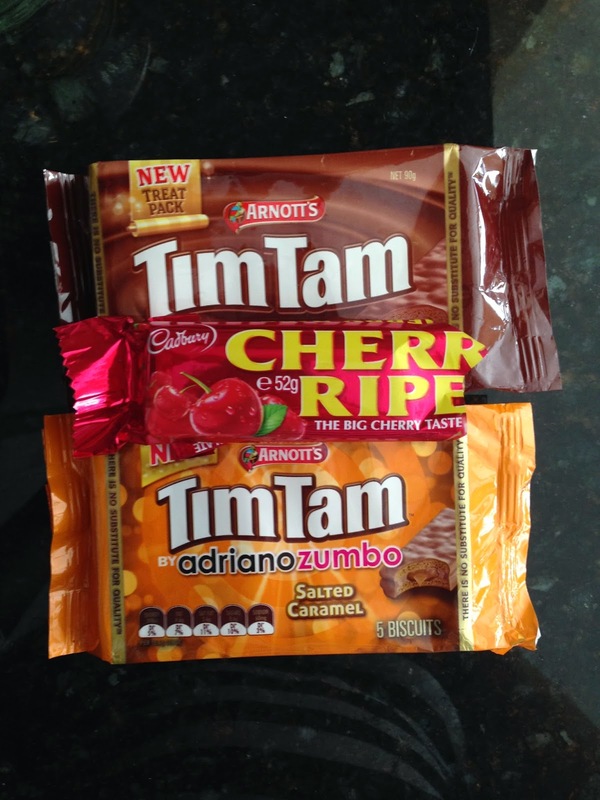 Two of my faves are the Tim Tams and Cherry Ripe (apparently pronounced "ripey"). Tim Tams are two lovely cookies held together by a creamy filling then dipped in chocolate. Cherry Ripe is basically a mounds bar, with cherry mixed in with the coconut. Both are equally amazing! can't go wrong with salted caramel! My husband found a great recipe for dough (which I will share soon). That combined with his outrageously amazing sauce and some fresh mozzarella makes some of the best pizza ever. I must have been the last person in the blog world to try this stuff. My first taste was this week and as my mom would say, it was heavenly. 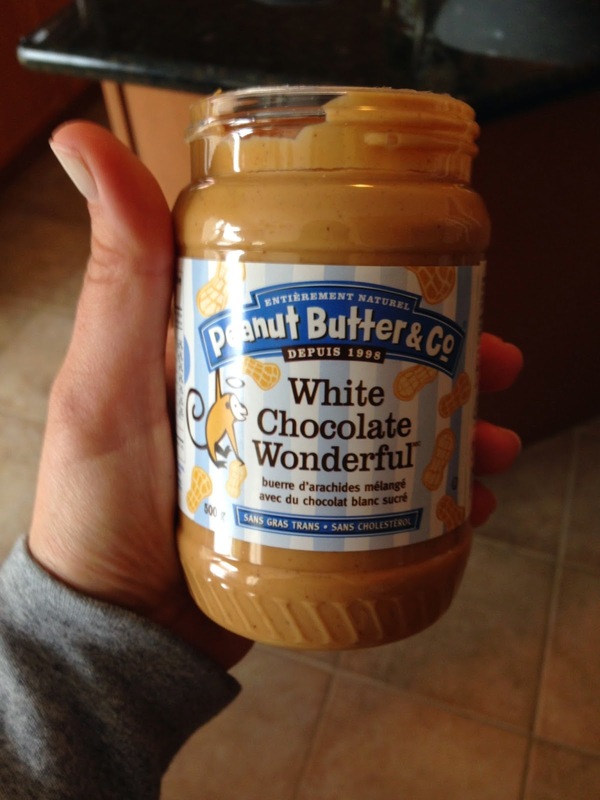 When my spoon occasionally falls into the peanut butter jar I can stop at one taste. But not this one... I went through a lot of spoons this week. what they really meant by "finger licking good"
What are your favorite things this Friday?! That pizza makes my mouth water! YUM! Have you ever had the Dark Chocolate Dreams peanut butter? So good! Haven't tried that either, that will be next!